I’ve been doing some new things since the new year that I’m very pleased with. One of them is stop eating at restaurants when I’m actually full. I used to eat untill my plates were empty, three courses long, because I felt it would be a waste of money otherwise. Now not only do I feel the need to empty out the table/plates, I also don’t order three courses anymore. I feel like it’s much worse to come home after having a really lovely night and spend the time in bed in agony because of feeling nauseous or having stomach cramps from overeating. Another thing I’ve been doing is taking general notes of what I’ve been up to during the week so I can translate that into a blogpost. Most of these things tend to be gaming related, since this is a gaming blog after all, but I also take note of significant real life things so I can incorporate that into my Sunday Summaries aswell. So without further ado, what have I been up to this week? I’ve been leveling a lot in both World of Warcraft and Final Fantasy XIV. After dinging my Miner 70 I’ve picked up Fisher and leveled it up to level 44 this week. I’ve hit a bit of a rough patch, namely the 35-45 levels but I hope I can get through that next week and push my Fisher up to level 50 atleast. From what I can tell the level 45-50 bit is already less painful and in Heavensward if you just fish for the Leves the leveling shouldn’t be too bad either. Since I got a bit bored with Fisher though I’ve turned my attention to some battle classes again, and mostly Summoner. When I picked her up this week she was sitting just shy of level 59. Right now I’m halfway through level 62 and steadily making my way towards level 70. As added bonus my Scholar automatically levels along with it, meaning that when I do hit 70 all my Healing classes will be max level. When I’ve had some downtime inbetween running roulettes and beast tribe dailies I’ve picked up my Black Mage to run some Palace of the Dead. She’s currently level 51 and I really want to get her to 60 fast so I can get rid of the level 50 set. All in all I feel like I’m picking up the pace of leveling in FFXIV again and this makes me very happy. 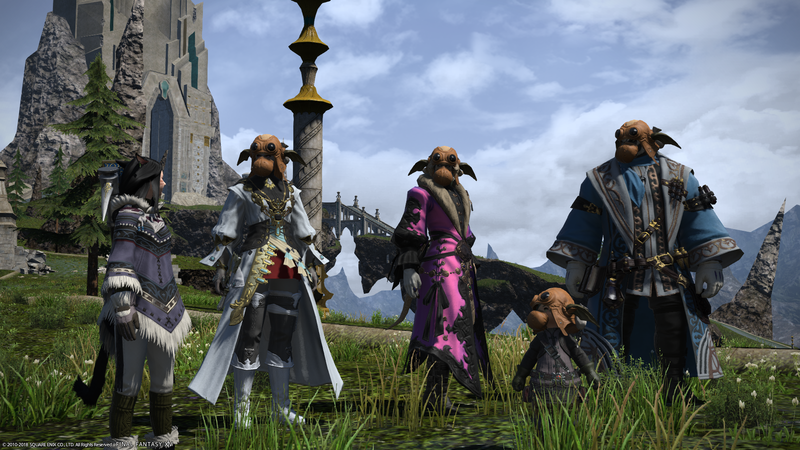 However this week also marked the official death of my static group, meaning I probably won’t raid in the next patch. Or atleast not cutting edge. I will probably try to pug some groups and see how that turns out. For now though my focus is on leveling mostly. In World of Warcraft I’ve not done that much. I’ve been doing some dailies on my Warrior and logged my Paladin here and there. I didn’t even do any of the Timewalking Dungeons yet this time around and I’m not sure if I will before reset. I have however picked up leveling my Shaman again and she’s currently sitting on level 102… Where I’ve stalled out due to having to do the quest for the Enhancement and Restoration Artifacts. I know I will have to bite the bullet at some point and I probably will… If only to be able to continue with the Class Hall Campaign. I’ve not played that much outside of my MMO’s to be honest with the exception of Yo Kai Watch 2. Even then I’ve spent maybe 2.5-3 hours playing it so it’s not that big of a deal. However in console land there have been some changes. 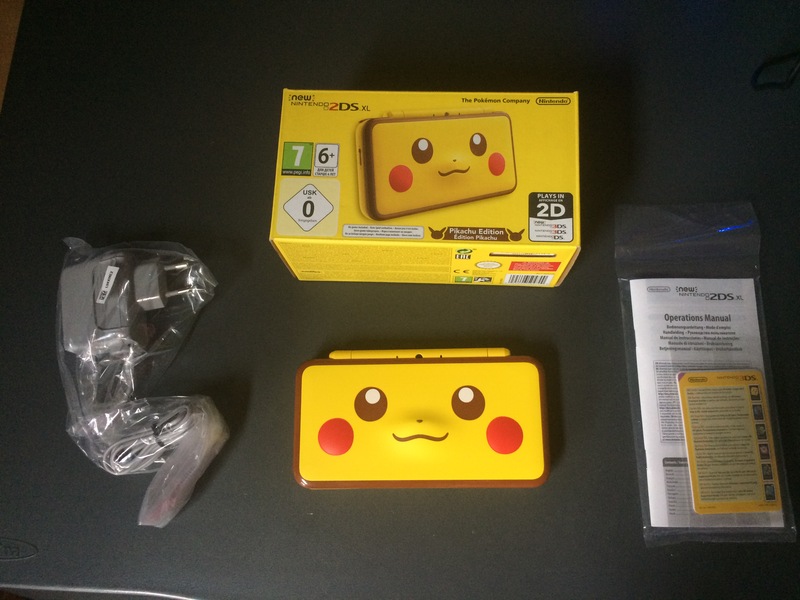 I picked up the N2DSXL Pikachu edition which has gotten me more hooked than I would have initially thought. Maybe it’s also nice to not have a home menu littered with games that are distracting and maybe it’s due to the fact that it’s new and I adore it but I’ve been spending all my Yo Kai Watch time on that handheld as opposed to my 3DS. 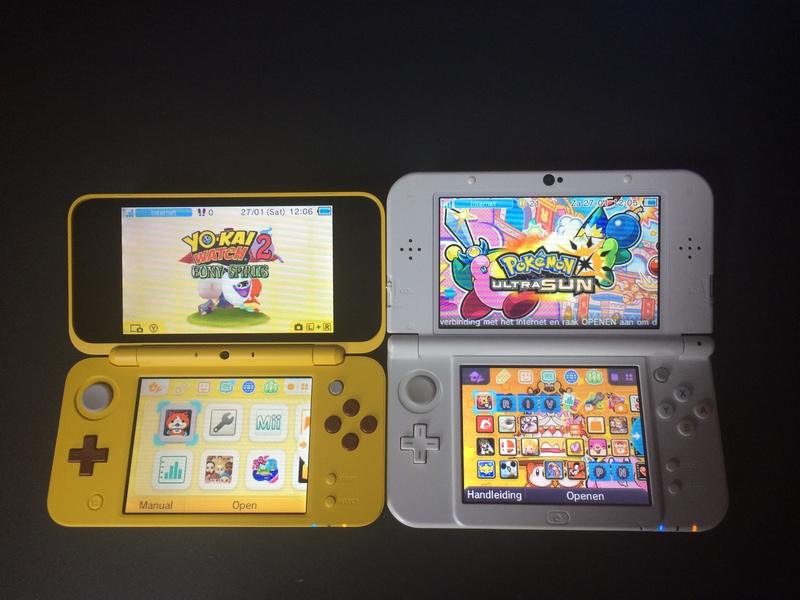 It’s also because I have to change the system language to English to be able to play it properly (Yo Kai Watch in Dutch is awful) and I don’t want to switch back and forth on my main handheld all the time. 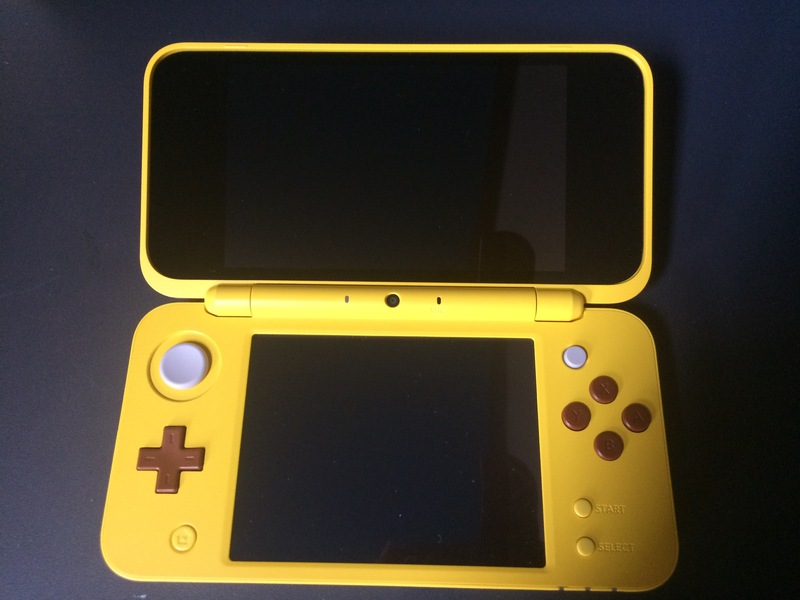 Making this Pikachu edition an ideal middle ground. I’ve also taken the time to reinstall my WiiU. It’s currently sitting in a corner of my room, close to a power outlet, and I’m planning to mostly play on the gamepad. Seeing as I like lounging on bed in the evening anyway it’s a perfect solution and I will finally get to work on that backlog a bit, starting with Breath of the Wild. It’s been a busy week for me last week when it came to real life stuff. They have officially started building the apartment complex where I will be living on Wednesday and they had a special event with all the buyers of the apartments. It was a nice little gathering, slightly ruined by the rainy weather. We’ve buried a treasure chest with messages from people in it so that when these apartments eventually get torn down and they start digging they’ll find messages from 2018. I loved the idea and my message is certainly in there. On Friday after work we had a dinner with the department and a ton of ex-colleague’s as a sort of goodbye for everyone who left the past 6 months. It was also the official goodbye dinner for my old manager. We had a really nice evening filled with good Mexican food and laughter and afterwards a few of us relocated to a bar to have some drinks. We all greatly enjoyed seeing eachother again and we’re planning on making these dinners a bi-annual thing. Just to see eachother again, hear what everyone is up to and because we have such an amazing atmosphere in this team it’s really a joy to meet with them. This also meant I was home late and quite exhausted. I wouldn’t have missed it for the world though. As for the weekend. I’ve been doing my usual chores and I’ve written down my planning for next week. I’ve gotten a bunch of gaming magazines from one of my ex-colleagues on Friday and I’ve been reading them aswell. Other than that I’m following the LCS and am slowly picking my way through all the things I own and cleaning them out. It’s an ongoing project and one that needs doing because 1: I own too much stuff and 2: I don’t know where half of the stuff I own is. It also helps me in narrowing down the stuff I still need to buy in the coming year for my apartment, so it’s a win/win situation overall. I’ve been mulling about this post for a while. 2018 is three weeks old and I feel like I want to make a certain road map for myself with achievements that I want done this year. I already started off well with leveling my Miner to 70 in FFXIV and completing my Class Hall campaign on Demon Hunter in WoW today. I’ve also completed my first Steam game of the year and I hope many more games in my backlog will follow suit. So yeah without further ado let’s look into some of the goals I have set for myself for the coming year gaming wise. First off: World of Warcraft. I’ve been slowly getting back int WoW since about november/december and seeing as I no longer raid there I want to take the time to do other things. I’m a sucker for lore and collecting and I really enjoy the class campaigns so I’ve decided to spend the remainder of Legion finishing those off. I have done 5/12 classes so far: Warrior, Hunter, Paladin, Druid and Demon Hunter. The rest of the classes I will have to level to max and then trudge through the Class Hall campaign. Luckily for me of the seven classes left, four are already sitting at level 100 or above (Mage, Priest, Shaman, Monk). I have a Death Knight and Warlock sitting in the level 90-100 range and then I have a Rogue who is level 81. I know that Blizzard has changed how leveling works so I will probably save the Rogue, DK and Warlock for last. I also want to get all the Class mounts after that. With only the Warrior and Hunter one done currently that will probably take a while but we’ll see. Finally I want to chase weapon skins, specificall on my Warrior. I know that Blizzard will remove some Artifact skins with the launch of BfA and I really want to get my hands on the Challenge skin on my Warrior and the +15 mythic colour. I imagine I still have about half a year to go for that so I hope I can manage it. So more than enough to do in WoW and I will have to set aside specific nights just to be able to do all of this. I don’t mind though, I will enjoy all the lore and will probably get my money’s worth from that playtime alone. Now that I feel like I’ve found a steady and permanent home in this game I want to plant some roots for real. I want to get all my classes to level 70, this is both battle classes, crafting classes aswell as gathering classes. I have been making some effort on two of these fronts at least. I already have five battle classes on max level (Astrologian, White Mage, Ninja, Bard, Red Mage) and seeing as the rest is all level 50 or higher I don’t foresee too much issues doing this. On the gathering front I’ve made progress in leaps and bounds. Both my Botanist and Miner are already level 70 and I’m currently working on getting Fisher up there aswell (currently level 41). Even though I hit the part of leveling for Fisher where it tends to slow down, 40-50 really is a drag, I feel that if I can just keep on dedicating some time to this I will be level 70 in no time at all. Crafting classes are a bit of a different story and will probably be the biggest challenge. I’ve never really picked up crafting properly except for Weaver, which is sitting at level 60. The rest of my crafting classes are a lot lower however. They’re varying in levels from 20 to 37 or so and even though I’ve gotten tips on how to level them fastest I’m still not really looking forward to it. Ideally I want to level all the classes together so I would start out with getting everything to 25 and then everything to 30 etcetera. It’s going to be a bit arduous to do it like that but I don’t have that much of a choice. I predict that this will actually take me a lot of time but in the event that leveling goes faster than I anticipate I want to work on knocking out achievements to earn me some titles and some shiny glamour gear. But the leveling comes first. Oh boy. The Backlog is a thing. You see I really enjoy collecting games but I have an abominable track record of actually playing said games. I don’t finish that many at all and seeing as I want to use my funds towards my house this year will be the best year to actually start working through all the games I have accumulated over the years. I have a ton of RPGs, a decent amount of platformers and then there are different types of games like Visual Novels, Point & Click puzzle games and “endless” games like city builders, the sims and stuff like FIFA 16 that I’ve bought but never actually took the time to play. I feel like I owe it to myself to play through atleast a few RPGs this year, most notably Horizon Zero Dawn, Xenoblade Chronicles 2 and Final Fantasy XV. I’ve started all of these games quite enthusiastically but never got around to actually dive deep into them and play untill the credits roll. Because that is my ultimate goal with this backlog playthrough: See the credits roll for as many games as I can. This means that sometimes a game will only last about 3 hours to play through but that’s not that important. I can always come back later to mop up trophies/achievement/completionist stuff when I want to. It also doesn’t mean I’m going to rush these games. Especially RPGs are games that are slow going for me because I want to explore every nook and cranny, talk to every person and run around a lot in the game world. This will probably slow me down considerably completing the games but I don’t really care. The same goes for platformers. I enjoy finding a lot of secrets on my first playthrough of a game and I will probably go out of my way to get some stuff when I can, but I’m not going to chase silly achievements that take specific actions to complete when they’re too complicated or when they slow me down to a standstill in the game. I have made a start in this effort by slowly going through my Steam library. I’ve finished Botanicula and I’m going to start working my way through Castle of Illusion again (I really enjoy that one, it reminds me of my old Sega!) and then just drop down the list of games. Child of Light is on there and Ori and the Blind Forest but also the likes of Final Fantasy XIII and Stardew Valley. And even though a game like Stardew Valley doesn’t really finish well I feel like I want to give it some love and time and say that I atleast played it for a while. On all of these things I hope to be posting more regularly than I’m doing right now. I currently have a Thursday & Sunday posting schedule and I will try to keep that up atleast and maybe squeeze in a Saturday post every now and then. This is because Thursday is my day off and Sundays are usually chore days for me so these days are perfect to use for blog posts. I hope I can keep up the trend of using more screenshots in my posts aswell, seeing as I can take seriously pretty ones on my PC again. Anyway that’s a look in what I want to do gaming wise in 2018. I hope I can reach all the goals I’ve set for myself and maybe accomplish even more. It’s not the same as climbing Mount Everest or learning a new language but I enjoy playing my games and I enjoy setting goals for myself in said games. It might make me a bit boring but that will have to be that way then. All in all I’m quite happy with this. It gives me something to work towards and something to grasp when I feel like I’m lost with what to do. I’ve caught the gathering bug quite hard these days in FFXIV. After getting my botanist to level 70 in December I’ve thought long and hard about what I wanted to do in the game. My static seems to have mostly fallen apart so I have no idea if I will be raiding in the new patch. I’m kind of worn out from leveling battle classes after pushing up AST and WHM very fast with the Alliance roulette, beast tribe dailies and just grinding roulettes in general. I’m not really in the mood to level another DPS right now and I despise Scholar as class which leaves me with leveling a tank. Which under normal circumstances would be fine but all my tanks are in the level 50 range and it would mean that I would want to run a lot of Palace of the Dead to maximize my experience gained. All in all I’m just worn out of it all so I wanted to turn my attention elsewhere. I picked up my miner last week and just ran through a ton of leves and weekly handins to get her to level 70 as soon as I could. I actually don’t mind the whole mindless leve grind aslong as I can see some progress from it. And with the buffs to levequests, and the Stormblood ones being much less painfull than the Heavensward ones, I got to 70 in what felt like the blink of an eye. Ofcourse the handins from both M’naago and Zhloe helped a lot here and me being tired and thus being unable to focus on anything else also helped. Now I just need to unravel the mystery that is Yellow scrips. I’m not going to aim for an entire set of gear for my Botanist or Miner yet but I do want to get atleast the weapons from Yellow scrips. It seems like I will have to farm collectables to stack up on them and then just spend them. Seems easy in theory but a lot harder in practice. I guess I will have to look up optimal rotations to get the right amount of collectability so I can hand in stuff for 23 scrips a piece, atleast that’s what I’m aiming for. I also want to unlock the Stormblood fokelore books and hopefully later on the Heavensward ones I missed aswell. I’ve already gotten both Fokelore books from Stormblood for my Botanist so now I just need the ones for Miner. I’m not sure what they do exactly nor am I really sure how I can start making money of off this but I will get there eventually. Another thing I enjoy dearly when gathering is that you get to see great scenery and it offers up ample opportunity to take screenshots like the one I took above. Being a tough Miner staring out at the rock formation in the Steppes. I especially adore the cloud formations in the sky and the slight hint of sunglare in my screenshot. Stuff that I’ve not seen as much on my old PC thanks to the fact that I had to turn down all my settings to even be able to play. Another thing I found on this new PC with gathering is that I have almost no lag. Normally there’d be some time between actions and I was so used to it taking a long time to hand in levequests that I was quite surprised with how smooth and fast everything goes now. This has made leveling my Miner a breeze and an enjoyable breeze at that. However even though I’ve leveled Miner and Botanist relatively quick and together the last remaining gathering class had fallen a bit to the wayside. Fisher is a bit typical in the Gatherers section. I’m only level 33 on it right now but unlike other Gatherers it doesn’t really use GP for instance. I feel like I also have no influence over the actual fish that I catch and whether or not they turn out to be HQ. I guess perception still somehow plays a part here as attribute that influences the catching of HQ fish but it’s still somewhat of a mystery to me. Especially considering that for mooching other fish you first need to catch HQ ones, making the whole mooching thing quite an unpredictable event. I now understand why people can spend hours and hours trying to catch a certain fish, especially if it involves double mooching which sounds really like my biggest nightmare. However I want my “Goddess of the Hand” title so I will have to bite the bullet and level up that Fisher whether I want to or not. Luckily for me I do enjoy the leveling process itself. I like just going from questhub to questhub and fish up a plethora of fish. I get especially happy when I can get my hands on some HQ fish as I’m doing my quests since it means I can get double XP from the leves. I guess I could also fish up some stuff for my Grand Company but seeing as spamming leves is just super fast I feel like it’s a waste of time to do that. I’m not really sure how long I can stay hooked on this whole leveling game but I hope long enough for me to get Fisher to level 70 this month aswell. This means I can finally convert/sell all the Gathering gear I kept a hold off for the past few months and ultimately empty out my Armoury chest and retainers a bit more. Because that really is my overarching goal with getting everything to maximum level: get rid of all the crappy low level gear that is now taking up space on my Retainers and in my bags. 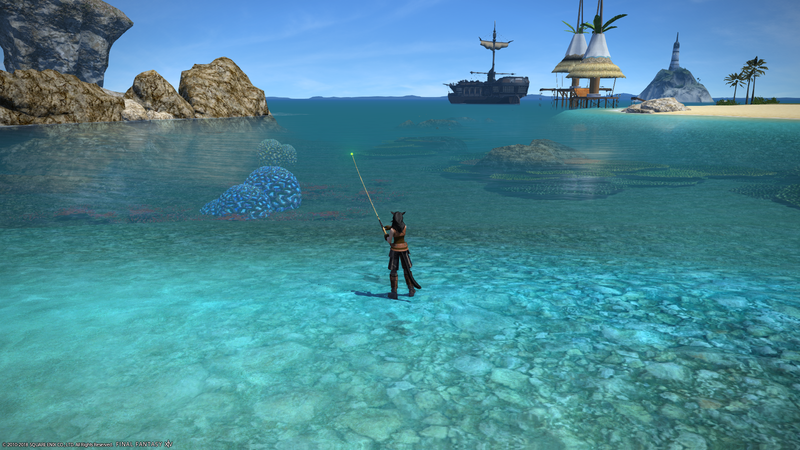 I want to end this post witha screenshot of me fishing in my most beloved zone: Eastern La Noscea. I love the sandy white beaches and the azure blue ocean. It reminds me of holidays, relaxation and fun. If I could book a flight to a location just like that I would be extremely happy. But for now I’ll just have to make do with the location ingame. Today I’m having a lazy day. I’m quite content with just lounging in my room, getting an hour of gameplay in here and there and otherwise just doing a whole lot of nothing. I tend to do my cleaning on Sunday because it’s usually the day we don’t have anything to do. With severe allergies towards dust mite it’s quite important that I vacuum and dust my room regularly. Especially since my bedroom is also a mini living room. I spend most of my time up here playing games, reading, watching shows and just doing my thing in general. It’s not that I don’t like spending time with my Dad and his girlfriend, it’s just that I’m often very tired and just want to be left alone. Plus they have their own schedule with watching certain shows on TV and basically completely ignoring me once I do spend time downstairs with them. I used to have the mindset that time spent doing nothing is time badly spent. I always felt like I had to do something. Be it cleaning, working on a hobby, reading. Anything. Going outside, sporting. You name it. As I get a bit older (I’m nearing my 30’s what the hell) I realise that sometimes doing nothing is the best thing you can be doing. I don’t recover as well from colds anymore, I’m very low on energy due to work and house buying related stress and I’m plagued by headaches, tiredness and random shivers. All signs that I just need to take a step back and rest up a bit more. It feels weird to be okay with living in about 6 square meters when I’m moving to an apartment that will be 50 square meters. I will actually have a living room all to my own. I can plug my consoles into an actual big TV instead of one shared with my computer. I can’t wait! Next week I don’t really have anything special planned. There is a friend coming over on Saturday but that’s it. With some luck work will be less busy aswell and I can actually use Thursday to rest up and relax instead of going into town and driving through half the country. I probably have some time to actually dive into games a bit more than last week and I hope I can get a little bit more done in FFXIV and maybe Yo-Kai Watch. I will definitely finish off Botanicula. Point and click adventures are a very nice way to relax after a long day of work, so I can see myself finishing it in an evening or maybe two. All in all I don’t have that much to say today. I’m in a very relaxed mood. It’s nice and quiet in the house and outside (although people are coming home as we speak). My room is cleaned, laundry is done. Fresh bedsheets and a clean pajama are waiting on me when I’m going into bed tonight. All in all I feel content today. I hope I can take this feeling with me the coming week. Last Thursday I picked up my new PC. My old one was completely and utterly done after five years of abuse. It worked marvelously in the beginning, letting me play WoW on High settings again (after playing it on the lowest for ages) and enabling me to play games like Tomb Raider and Assassin’s Creed III and IV. However everything deteriorates over time and I had come to a point that I once again played all my games on the lowest settings and with some effort besides. I’d dip down below 20 fps frequently and even though I could still play games like WoW and Heroes of the Storm I would notice huge rendering issues and simple animation lag caused by the fact my PC couldn’t really handle things anymore. I think the real final straw was when I couldn’t play Diablo III after buying the Necromancer pack. My old computer simply couldn’t handle the armies of dead I was summoning and it put me off playing the game alltogether. So now I have a new PC. Specs wise it’s not super top notch. With me buying an apartment I can hardly afford a top of the line €3000 PC so I put my budget around €1200 and see what it would net me. I decided on buying the thing locally and had it sort of custom made. I say sort of because you would pick out a base model computer and then added components as you went. So right now I’ve ended up with a PC with an MSI motherboard, I5-7500 CPU and an Nvidia GTX1060 (which was a huge upgrade to the GXT650 I had). I have 8GB ram, a 256GB SSD and another 1TB HDD. I changed the power supply for a more powerful one and I got Windows 10 along with it. All in all I’m quite happy. I’ve never had my PC or my games boot as fast as they do now. I decided to put both WoW and FFXIV on my SSD and all my other games on the regular HDD. This is because I don’t have that much space and it’s really the two games that I spend the most time on. I’ve already been taking more screenshots than I’ve been doing the past few months and I’m really enjoying the fact that I can play with pretty graphics again. To celebrate this newness of computer I have started to go through my Steam Library, starting at the top game in my list, which also happened to be a gift: Botanicula. It’s a bit of a silly game and it’s mostly point and click. You guide a set of five little creatures around a tree to save it from dark spider like things that are sapping the life out of it. There is quite a big map to explore and a lot of strange things to encounter (see screenshots above). The game encourages wandering about and discovering as much of the map as you can, which I’m doing gladly. It’s one of those games where you have to click everything you can just to see what it does. I’ve only done two levels of the six available and it’s really a game that you can play through on a rainy afternoon given that it takes about four hours to complete. It’s whimsical and silly and the sound are amazing. I can’t wait to finish it and then tackle more of the games I’ve accumulated over the years in my Steam Library. Now that I finally have a decent PC again I may even want to take another jab at finishing ACIII or Tomb Raider. Next to picking up my new PC I also got to pick out my floors, bathroom stuff and a kitchen for my apartment Thursday afternoon/evening. Because it’s a part of a project and because they will built the apartment in such a way that I only really need to move in furniture and hang up curtains they want to know what we want in advance. This also means that options to choose from are limited (unless you want to pay a shitton more money). In the end I managed to settle on floors and tiles and bathroom equipment. I also got a kitchen designed and it’s all coming together. Too bad the actual building of the apartments will still take a year and a half or so but still. It was a really nice experience and I’m happy with what I picked. As for the rest. My weekend is booked. 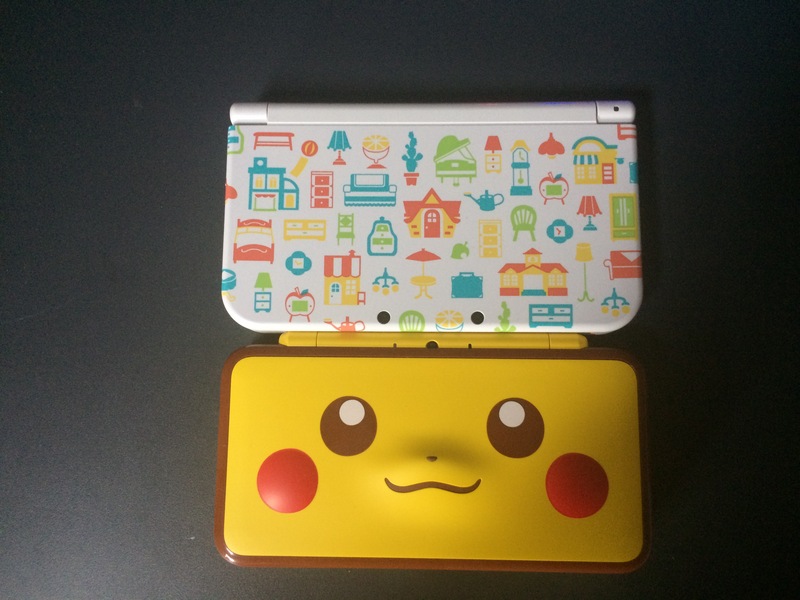 I’m off to a birthday in about 45 minutes or so, taking my 3DS with me for the car ride there (it’s about an hour) so I can get some Yo-Kai Watch playtime in. I managed to finish reading “The Wise Man’s Fear” today and will probably read “The Slow Regard of Silent Things” next and then I will have to wait for the final novel in the Kingkiller series like everyone else. I have to say though, Patrick Rothfuss tells a really damn good story. I’ve been sucked in by it and enjoyed it a lot. I can’t wait to see how Kvothe fares in the last book and I sincerely hope that he won’t be killing him off or having him die an old man. I hope he goes back to Felurian in the end like he promised, but only the author knows. I’ve also finally managed to reach rank 2 Prestige on my Warrior, opening up another Artifact skin. I’m quite happy witht his because I think the PVP skin for Fury weapons look amazing and I hope I get to unlock a bit more colours before the next expansion drops. As far as FFXIV goes… I’ve picked up Miner and am sitting on level 62 right now, a level I don’t really enjoy purely because of the fact that leves are in Ruby Sea and they are super annoying to do. I hope I can get past that part fast and bump her to 70. Other than that my gaming has been rather quiet over the past week. I’ve been tired because of work and stress about the whole apartment thing so the moment I get home I really just want to sit or lie down and do as little as possible. As an ending to this post though I’ll leave you with a picture of the Warrior and her seriously awesome new weapons. I figured it was time to throw a new theme on my blog. The one I had was nice but it didn’t really give me many options in relation to the header and for some weird reason it wouldn’t let me choose where to place images in my posts. This is reflected by the fact that everything that wasn’t a fullscreen sized screenshot just defaulted to the left, something that annoyed me very much. 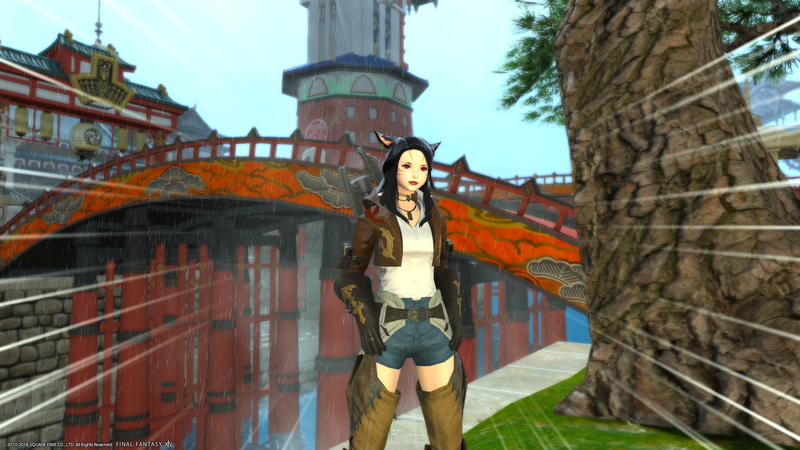 So now I have a fancy new theme with a fancy picture of my FFXIV character at the top (I really love that screenshot of her) and I’m hoping I can take my blog in a more active direction with this. I also really want to start posting more screenshots on here, especially now that I’m getting a new PC on Thursday… I should be able to snap some pretty pictures. I’ve been trying to make notes in my planner every day with the activities I’ve done for the day. Be it gaming related stuff, reading, watching TV or simply just sleeping a lot. I do this so I can have a look of all the stuff I actually do during the week and what are really bad days for me to plan things because I know I will be super sleepy or unmotivated to do things. So far I’ve been making some progress in various areas when it comes to games, reading and watching shows. I’ve done the entirety of Tomb of Sargeras in Looking for Raid in WoW on Sunday on my Warrior. 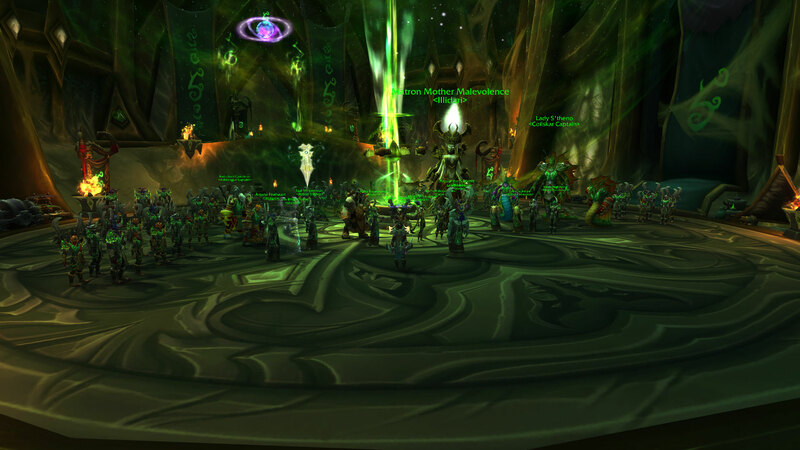 Kil’jaeden wiped our group three times before we got to finish him off and I was rewarded with the epic cutscene where Illidan basically transports Argus to Azeroth, or was it the other way around? I’ve also dabbled in Antorus but I feel like I should finish off the story on Argus before I move on in that raid. It would probably make more sense to do that so I’m hoping I can stick to that plan. I’ve also been doing my Honor dailies every day. This has accumulated in me only needing 2 more ranks until I hit Prestige rank 2 and finally unlock that damn skin for my weapons. 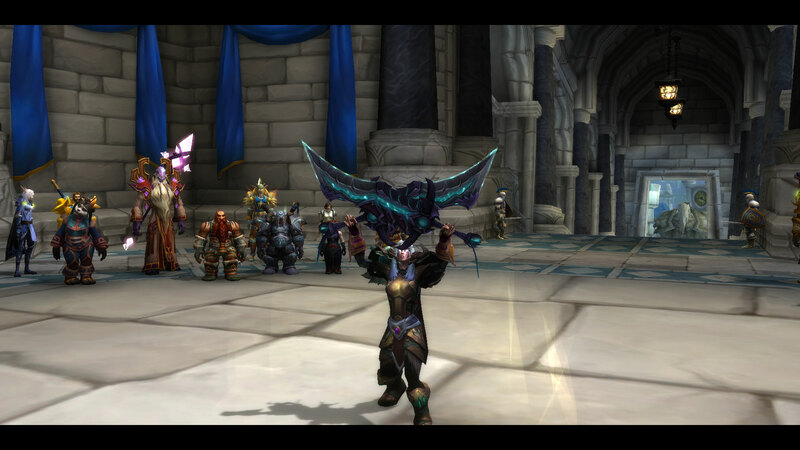 Especially the Prot Warrior skin is cool for PVP so I definately want to unlock it as soon as possible. I’ve not really touched my Paladin yet this month, focusing completely on my Warrior for the time being. This is also due to time restraints and the fact that I’ve been taking care of a lot of IRL stuff instead of gaming. 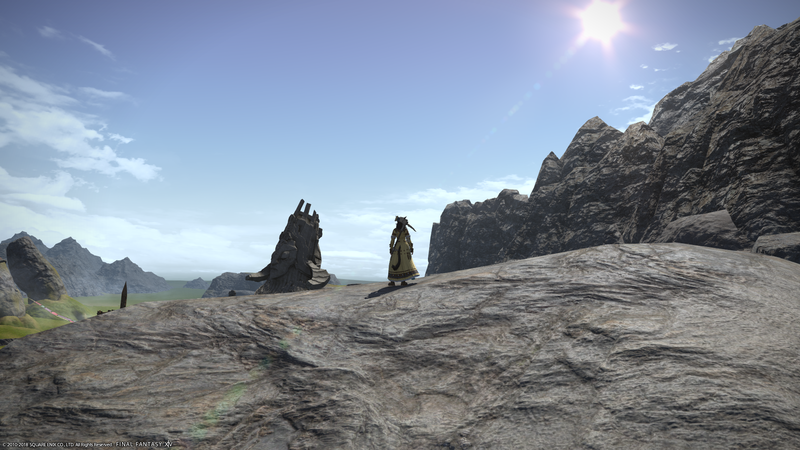 In FFXIV I took to finishing the Heavensturn event. It’s a cute little quest and on my alt (pictured above) it’s the fifth consecutive Heavensturn I’ve participated in. I was a little disappointed with the rewards this year, two dog helmets and a stuffed dog housing items, but the quest was short and charming and a little perverted as usual. I’ve ressed a few people doing the Mochi Pounding FATE who didn’t figure out fast enough what they were supposed to be doing so there’s that. I’ve also dinged my Botanist level 70 earlier and am slowly working my way through the 61-70 part on Miner. After that I guess I’ll have to figure out what the best way to earn Yellow Scrips is so I can atleast replace my main hand weapons with more decent ones than I have right now. All in all I’m enjoying a leasurely pace in FFXIV and it’s suiting me well. I get to make up my own little goals and work towards them and this is something that makes me extremely happy. As for other things. I’ve watched a few more episodes of “Lie to Me” and have finished season two which leaves me with only season three left. I also got some time into watching Black Mirror. Even though I enjoy the episodes and they get me thinking about stuff I’ve noticed it’s not really the show you want to watch when you’re already in a negative mood, something I had a little exchange on Twitter about with Jaedia. So instead I’m focusing on watching Lie to Me and reading “The Wise Man’s Fear”. I’m already halfway through that book aswell. As it stands right now my e-reader is my faithful companion to and from work every day and it’s astounding how much reading you can get done in about 15 minutes time. The story is still gripping me and I’m severely disappointed that the third book is taking so long to come out. Then again I’m also still waiting on the sixth book of A Song of Ice and Fire so meh. If all else fails I can fall back to the Gentleman Thieves series which I enjoy a lot aswell. I also managed to grind out the remaining rewards of the Winter’s Veil event in Heroes of the Storm yesterday evening. Inviting a friend and just battling the AI on Beginner level was something I really needed. It makes the game light and easy and you can try your hand at champions you’ve never played before to see how their kit works and how they handle in general. I played a few games as Sylvanas, Zagara and Li Ming. Mostly to get the level ups but also because of quests and, in Li Ming’s case, because I really enjoy playing the character. This resulted in me going to bed a bit later than I had planned but atleast I had a fun evening. Even though I’ve had an absolutely terrible day at work I feel happy to come on to this blog and write about gaming related stuff. It helps me take my mind off things, even though I technically don’t have anything interesting to say and most of my posts seem like rambling. I just don’t want to have a constant negative mood and writing always helps. I really hope I can take more screenshots from now on and tell more stories as to why and how they were taken. It’s just a real shame I can’t take screenshots on my 3DS since it seems to be my favoured system to play on outside of my PC. I’m really deep into Yo-Kai Watch and am enjoying it way more than I thought I would. I may actually finish it before the month is over… But that is something for another post. The first week of the new year has been an odd one for me. Work has been seriously stressful and it’s giving me sleepless nights. I’m also still fretting about buying my house and all the financial stuff that comes looking with it. My dad tries to tell me that everything is taken care of and that it will all work out fine but I can’t help but stress about it. Maybe I’m also anxious because the idea of moving out is finally becoming a reality. I will be living on my own in ~1-1.5 years and the idea frightens me. I know it sounds a bit silly but for someone who has had mental health issues for years stuff like this just sets me back majorly. I get very anxious and depressed and worry excessively about every little detail. I can’t really seem to turn the train of thoughts off in my brain and it’s quite difficult to deal with. Especially since I can’t really share this with my Dad and his girlfriend because they can’t sympathise. I feel like I’m fighting this fight on my own and I can’t really explain well why I feel the way I do. I guess the change of everything is scaring me to death and it’s something I will have to learn to cope with. Next to this I’m also dealing with a delayed graduation from Uni. I’ve accidentally signed up for the wrong Master track and will have to switch to the right one, which means I can’t apply for my diploma till February 1st. I know that it’s only 3 weeks away but it feels like an eternity. I just want my diploma right now and be done with all of it. My university time has traumatized me more than I can explain and I rather not go back there when I don’t have to. I really want all of this to be over so I can finally let it go and breathe a little more easy. Now I don’t want to be a negative Nancy about this entire week. I actually managed to leave the house for something else than work this weekend and treated myself to a haircut and getting my eyebrows plucked. I also finally decided to get a new computer so I put in an order at our local PC shop where they assemble the PC to my wishes. Specs wise it should last me a while and they have assured me that they build them in such a way that it’s easy to replace parts if need be. 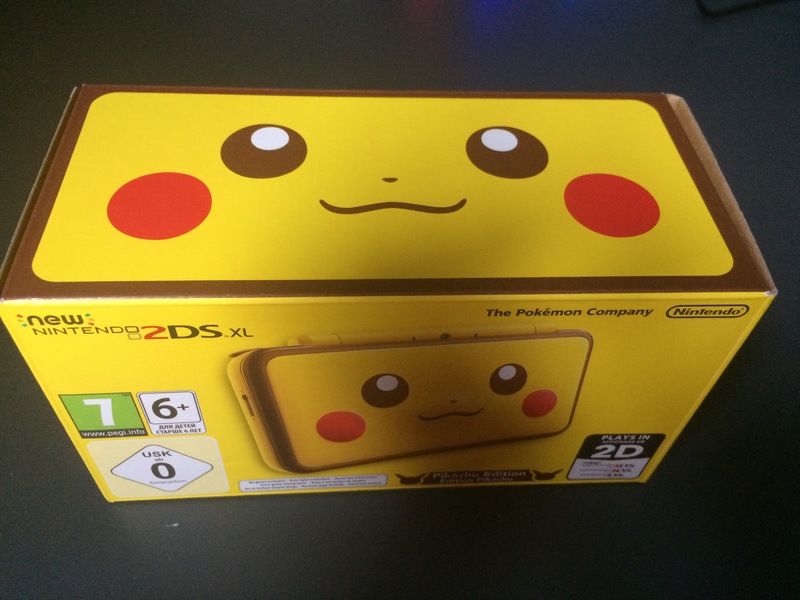 I also managed to pick up a 3DS game I’ve been eyeing since forever at a bargain. So now I’m stroling around in the world of “Yo-Kai Watch”. I’ve played the demo for the first game and I’ve read the reviews for the other games to come out. “Bony Spirits” was on offer for only €19,98 so I thought to myself, why not? I’ve been wanting to play a Pokémon like RPG for a while without it being actual Pokémon. I’m having a rather hard time getting into Ultrasun and this fits my needs nicely. It’s much more a story type RPG than Pokémon is and the graphics are surprisingly nice for the 3DS. I’m playing in 3D and it really works for this game. Seeing as it’s an entirely new IP for me, and it’s not as grindy as games like Xenoblade Chronicles or Bravely Default, I can see myself having some fun with this game the rest of the month. I hope I can play a lot and make considerable headway instead of playing for an hour or so and putting it down never to pick it up again. I really want this year to be the year that I actually finish games and this Yo-Kai watch will be the first on the list. As for the rest of the weekend. I hope to finish off Argus on my Warrior and poke my head into some LFR. I also want to do the Heavensturn event in FFXIV and level my miner a bit. I want to play some more Yo-Kai and I need to clean my room so I will have a relaxed but full program for the rest of the night and tomorrow. First off all I want to wish everyone a Happy New Year and hope that 2018 will be 100% better than 2017 for everyone. I spent my New Years eve celebrating with one of my best friends. It was a day and evening filled with games, good company and nice food. Ofcourse I went to bed a bit too late which means I’m going to bed nice and on time tonight to be well rested for work tomorrow. I’m also happy I decided to clean my room before leaving. I’m now home and have a bed with freshly washed sheets and an empty desk to look at, which makes me happy. Now before I want to start talking about my plans for January I want to look back at December and what I’ve accomplished. 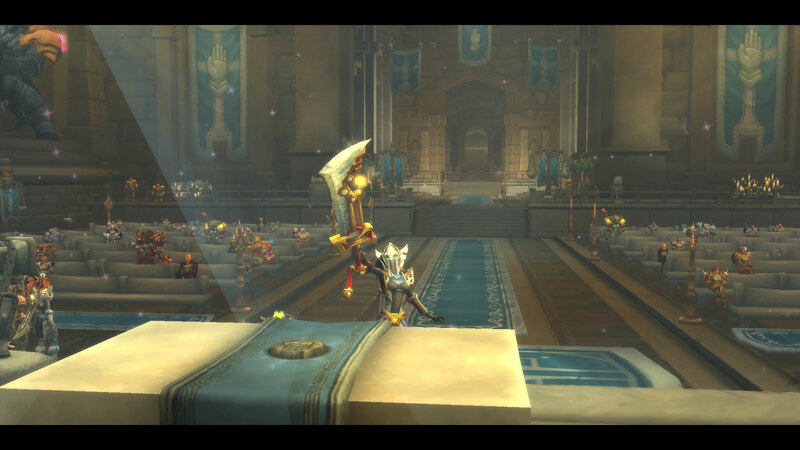 In World of Warcraft I managed to get my Paladin to level 110 and completed the Class Hall Campaign pre Legionfall. I decided to stop there and focus on gearing up and clearing out the remaining quests that I had before pushing on to Argus and eventually my Class Mount. She’s sitting on ilvl 850 now and I’m slowly whittling down my quest log. I’m quite happy with the progress I made considering I was sick in bed for an entire week. I really have to mention that I enjoyed the Paladin Class campaign like no other campaign so far. I like how it tied in with the Priest one and how everything played out. Next to working on my Paladin I’ve also picked up my Warrior again. 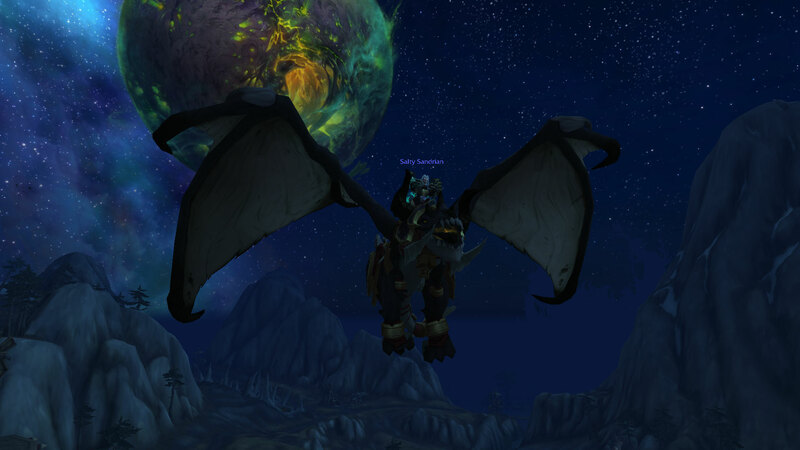 I finally finished the Legionfall campaign, got Exalted status with them and got my Class mount. I’ve decided to slowly work through Argus on her and do some LFR to experience the story of Tomb of Sargeras and Antorus but that’s it. In FFXIV I managed to get my Astrologian to 70 early on in the month and had my Miner ding 61. 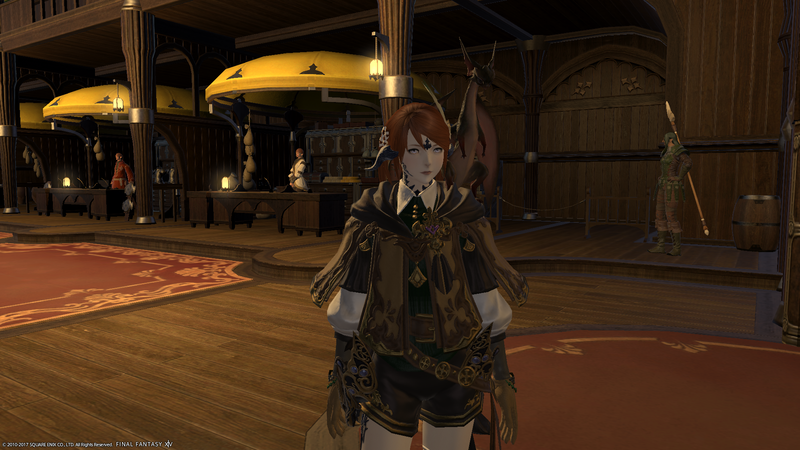 I’ve stalled on my Botanist however, she’s currently sitting around halfway to level 68. I do want to make the push towards 70 asap on that and my Miner so I can clear gear from my bags and maybe so I can start making some money. I’ve also casually been leveling my Machinist, it’s 61, and I’m quite happy with that. Ofcourse I’ve also done the christmas Event on both my characters so I now own my very own flying bear! In non MMO games I’ve not made that much progress. I’ve played a bit of Xenoblade Chronicles, some I am Setsuna and Puyo Puyo Tetris but otherwise I’ve not really touched any games. It’s a bit disappointing but inbetween the stress from work and buying a house and feeling sick it really can’t be helped. I did manage to level another hero to level 5 in HotS so there’s that. On the non gaming front I read the book I wanted to read in less than a week. I really enjoy this series by Patrick Rothfuss and I’m planning to read the rest of the series aswell. In series country I just couldn’t get into the Punisher. I don’t know if it’s just Marvel overload or if I just can’t watch another action packed series but instead of watching that I’ve delved deep into the serie “Lie to Me”. I’m currently halfway through season 2 and I’m sure I’ll watch the rest by the end of January. Looking ahead to January I still want to keep my goals small. I will have a very tough month ahead of me work wise and I’m still not quite over my cold so I don’t want to plan too much while I know I probably won’t be able to do what I said I would. But this is what I’d like to accomplish the next month. In WoW: Get Prestige rank 2 on my Warrior, finish off Argus on my Warrior and clear out any remaining quests that linger in my questlog. Do Tomb of Sargeras and Antorus for story on both Warrior and Paladin. On Paladin, push through the Legionfall and Argus story and get my Class Hall mount. In FFXIV: Level my Botanist and Miner to level 70. Fiddle around on Machinist, no real level goal there, if I make it to 70 it’s nice, if not then no harm done. Other games: play more Xenoblade Chronicles. 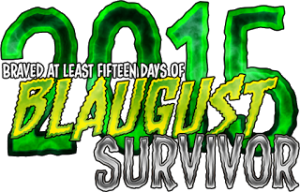 Any progress is nice but I’d like to see a considerable part of the story before the month is over. All in all this should be obtainable goals for the month. I have many more planned for the rest of the year and I’m planning to do a “goals for 2018” post somewhere this week. 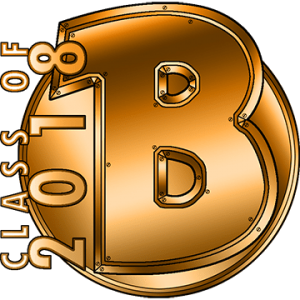 I don’t have big “real life” things to consider this year except for getting my apartment built so nothing should interfere with finally playing some of my backlog and having fun in MMO’s in 2018.